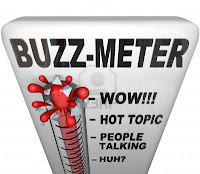 Jeff Schechtman's "Specific Gravity": What makes Buzz? Why do certain products and ideas become so popular? Why are some stories and rumors more infectious than others, and what makes some online content go viral? These are just a few of the questions that Wharton marketing professor Jonah Berger takes up in his new book Contagious: Why Things Catch On . Berger has spent 10 years studying social influence and according to Berger, the key to making things really popular happens long before it’s discussed at the water cooler, or “liked” online. It starts with the message.